Well, there is no doubt that Google Maps rule the roost and is the king of all map applications and websites out there. Google works tirelessly to keep updating it and the navigation is also constantly improved upon to provide users with the correct data. However, there are many people who are unable to use Google Maps or are disappointed with it due to various reasons like sluggish graphics, slow loading time, etc. Whatever be your reason, you would be happy to know that you have plenty of other options to choose from. There are many other map applications with new and funky features, which are accurate and load pretty fast too. Here’s a list of top map apps that are a great alternative to Google Maps. MapBlast.com was acquired by Microsoft and Bing Maps was launched as a part of Microsoft’s Bing Suite of search engines in December 2005. 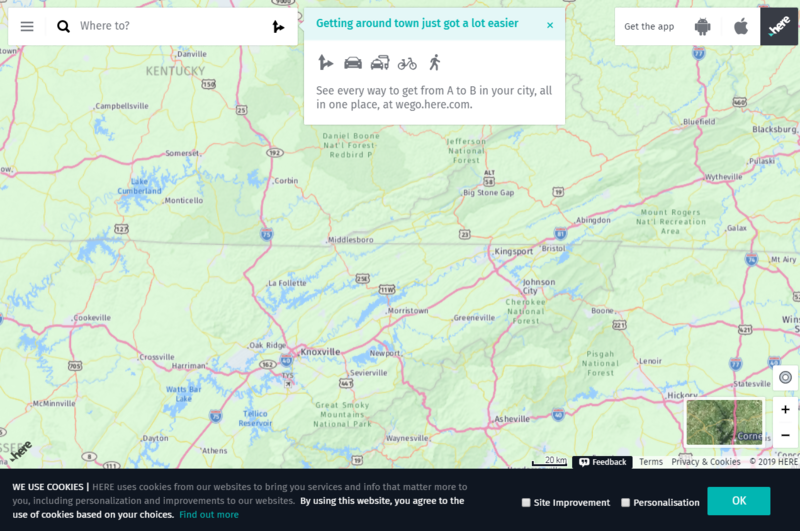 In Bing Maps, you can receive cycling, driving, transit, and walking directions in either kilometers or miles. You can also enable options to avoid highways and tolls while driving, enter additional stops along the route during a trip, and also set up a certain time to begin your trip. Along with the map of a certain place, you can also see the images of different places. You are also shown facts about the location you are in and points of interest in that place. Bing Maps also allow you to have a 3D view of the region and traffic updates. The traffic updates are shown in black, green, red, and yellow and mark light to heavy traffic. Bing Maps also has modes for aerial, bird’s eye, road, and street-side views in a comprehensive manner. You can print the map, save it, share it via various social media platforms, or email it. While Bing Maps is a great competitor to Google Maps, it is currently not a standalone app for iOS and Android devices. 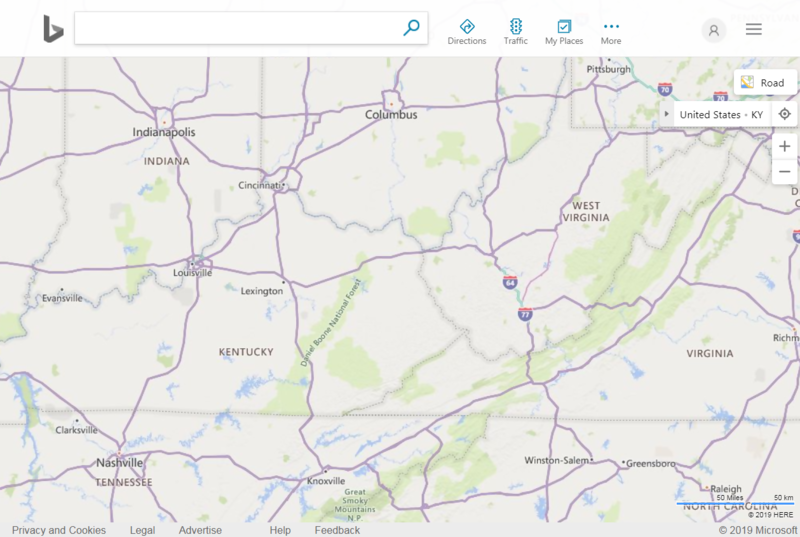 It is a part of the larger Bing app and you get to access the maps feature by clicking on the maps tab on the Bing app. It is, however, available for Windows Phone 8 users. Initially known as HERE Maps and available exclusively to Nokia devices, Here WeGo Maps was launched by Here Technologies almost 30 years back. It was only recently that Nokia decided to make the maps available to other users too. Today, Here WeGo Maps is available on the web and for both Android and iOS platforms. To access the maps on your phone, you need to download the app. For Android users, it is available free of cost in the play store. Here WeGo supports over 200 countries and has all the basic features like detailed routes, places to visit, navigation, etc. that you would look for in a maps app. It also gives you current information about an area that you’re visiting and the prices of all the public transport links in that area. Another great feature of the app is that it works with full satellite navigation offline and you can use the map without a data connection. While using the map, you can switch between three views – The Satellite view that offers a photo view, the Traffic view that displays real-time traffic information in the area, and the Transport view that includes information about all means of transport. The app also calculates and helps you to find the quickest routes for cycling, driving, transit, and walking. 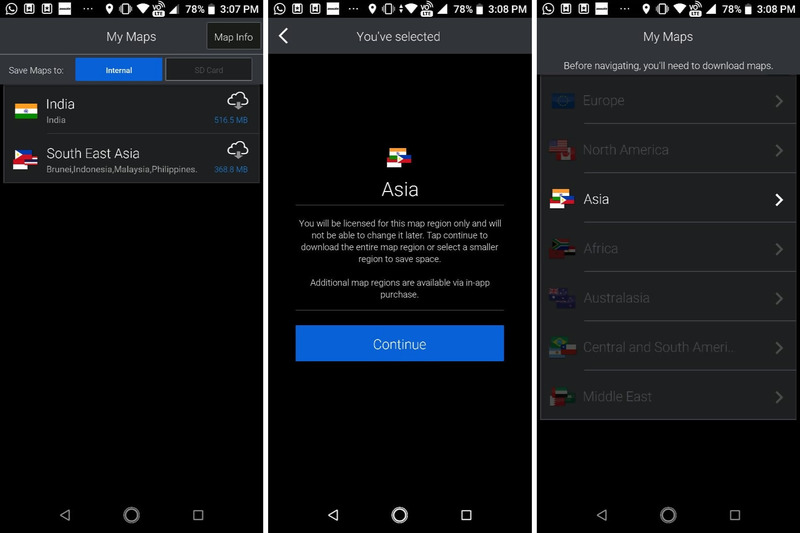 To use maps offline, you can download the map of a country or a particular region. The app works pretty smoothly and is easy to use too. Founded by a division of R. R. Donnelly and Sons in 1967, the company was later acquired by AOL. 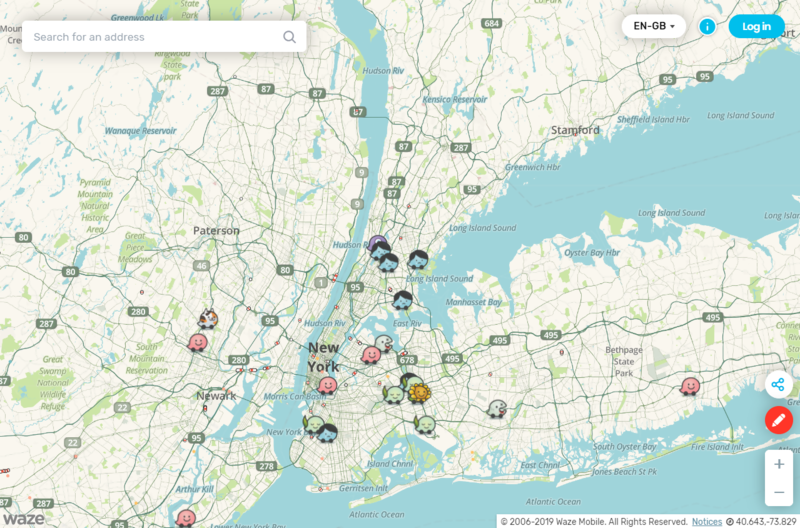 Today, MapQuest is popular for its mobile maps app that gives a tough competition to Google. The best part about it is that it is more than just a voice-guided navigation app. It has many other funky features that make it stand out from the crowd. For example, if you are driving and your car breaks down in the middle of nowhere, you can access on-demand roadside assistance for help from the app. If you decide to walk at a certain place, the app tells you how many calories you shall burn on the way. The app also works as a weather app and gives you information about the weather conditions in the place you are traveling to so that you know if you need to carry an umbrella. You can also compare prices of various cab services and book them right from the app. 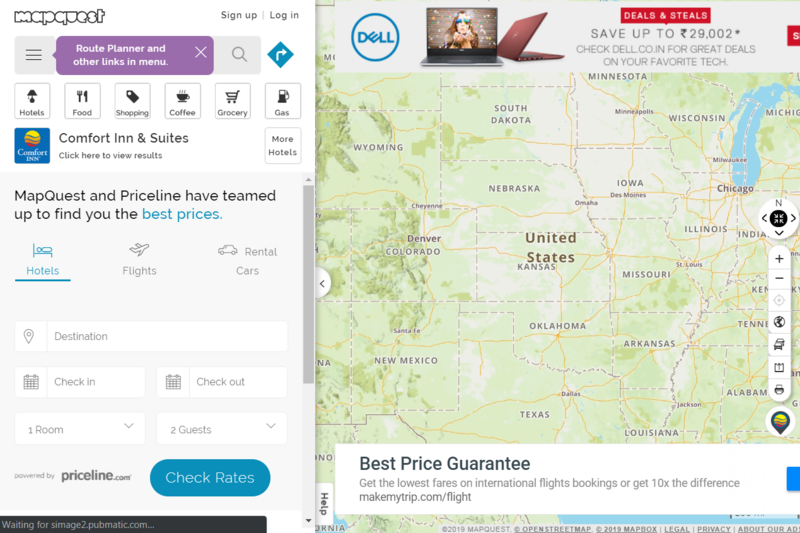 And as far as the basic features of a map app are concerned, MapQuest has it all – from live vector maps and satellite imagery to finding nearby businesses and attractions – it has everything you need. The app is available for Android, iOS, and Windows phones. This is another great alternative to Google Maps, but here’s the fun part – Waze is actually owned by Google. The company acquired Waze in 2013 but it still exists as a different entity and is not a part of Google Maps. Here’s why – Waze is basically a community-based map and a navigation app that is basically meant for drivers. Drivers can share real-time information about traffic situations, accidents, road closures, speed limits, etc. that can help other drivers who are on that route. You can also track the locations of other Waze users in real time. However, do note that Waze does not offer directions for walking, cycling, or public transport and is not available offline. You cannot check out nearby attractions or businesses either but it does inform you about the nearest gas stations. However, with the real-time data, you are sure to get the best possible route that would make you reach your destination real quick and save you both money and time. The app is designed in a minimalistic yet sleek way and uses 3D graphics. The map services are accessible on the Waze website or you can also download the app free of cost from the Play Store. It is available for both Android and iOS users. Imagine you were traveling to one of the top metros in the world where you have never been and you had all the information about public transport right on your phone. How easy would that make your daily commute! Well, that’s exactly what this app does and does it in style! 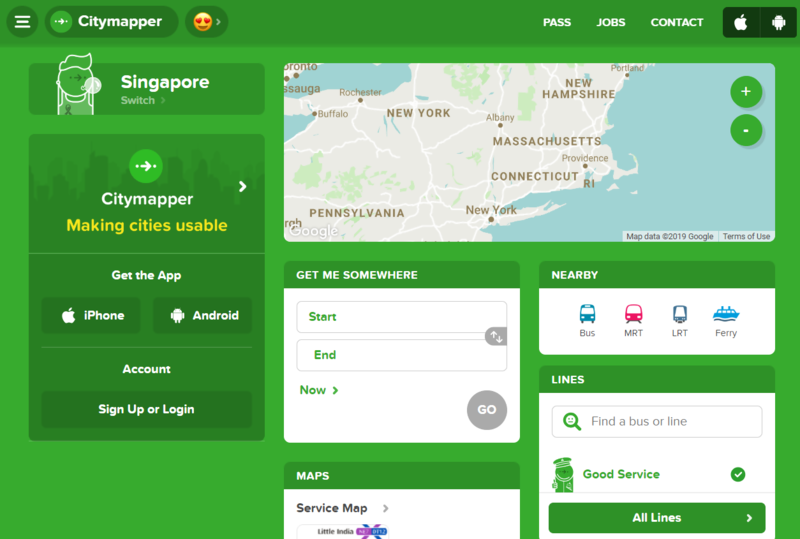 Citymapper is basically a transport planner and makes it easy for you to go around in a city, especially if you are new to it. In the map of the location you are currently in, you can check out the nearest bus and train stations and also stops of other modes of transport. You can also save your preferred stops to favorites so that you can access them easily the next time. The map usually shows the name of the stop/station, the service number (for buses), the destination it goes to, the time it takes to get to the nearest stop from your current location, and the time of expected departure of the bus/train. You can also check out the live timetable of a particular station and save it if required. When it comes to trains, you can access information like the status of the train, time until the next one arrives, destinations, the platform number the train will arrive at, etc. The app also tells the user the quickest mode to reach the destination i.e., walking, driving, taking public transport, etc. The app is well-designed and extremely helpful because it gives all the information you need and saves you time and money. It is available for Android and iOS users. This easily classifies as one of the best alternatives to Google Maps because it has everything that the latter has and does its job really well. The map provides turn-by-turn navigation for cycling, driving, and walking navigation all around the world and is a favorite among adventure enthusiasts too. What makes Maps.me stand out from the rest is that it uses open source OpenStreetMap data for its content. This helps to increase the data every day and makes it more accurate because it is contributed by real people in real time. Maps.me can also be used offline and you can download the map data of a particular place before you leave so that you can use it even without the internet! Another great thing about this app is that it contains every minute detail of a place. Besides the roads, lanes, bylanes, and bicycle paths, Maps.me also contains information about hiking trails so that you don’t get lost on a hiking trip. You can also search for coordinates, the name of a place, and address while using the offline feature of the map. Its new smart search feature helps you find the correct place even if you misspell the name during your search. The app also helps you find local businesses like a hotel or pharmacy, points of interests nearby, a local guide, public transport, and gives you traffic updates too. You can also book an Uber directly from the app and share your location via text or social media with friends and family. It is available for both Android and iOS users. Driving to a place where you have never been before? You surely need correct and crisp driving directions so that you can reach there without any hassle. If you are in a similar situation, all you need to do is download CoPilot on your phone and you are sorted! This is an extremely useful app for drivers because it guides them with clear and correct directions to their destination. It also provides offline maps and GPS that can be greatly relied upon for navigation. Users can download the maps along with places of interest to use them during times of no internet connectivity. The app also helps to plan a route and has voice direction support too. It also takes into account real-time traffic data and provides the fastest route to the user. It saves the routes that the users travel to so that they can be used in the future. The app is also known to perform really well in metro cities. If all these details make you want to download the app immediately, go to Play Store on your mobile because the app is available for both Android users and iOS users. If you often like to bike, hike, or venture into unknown terrains looking for adventure, God has heard your prayers and made humans build this amazing app just for you! If you have ever been lost in the wilderness before, you must be well aware of how difficult it can get to return back to safety. So, you must immediately download the BackCountry Navigator app that has been built using detailed topography and lets users enter longitude/latitude coordinates of their location to search for directions from their current point. The app comes loaded with features like a compass and waypoint measurement system that helps you measure two points on a map and know the shortest distance between them. The map takes its topographical data from various reliable sources like USTopo, nautical maps from the NOAA RNC, OpenCycleMaps, etc. The map data of a particular place can also be downloaded so that you can use it offline. Currently, the BackCountry Navigator is available only for Android users and costs around $15. This is not your normal navigation app. The Polaris GPS Navigation app turns your phone into a smart GPS navigation system and helps you venture anywhere out in the wild or the sea where you can be one with nature and yet not lose your way. Polaris GPS Navigation comes real handy on biking, hiking, camping, hunting, backpacking, and sailing trips because it provides reliable and stable data, that too free of charge! You can download unlimited maps as many times you want. It has detailed off-road directions and can also be used in the offline mode. 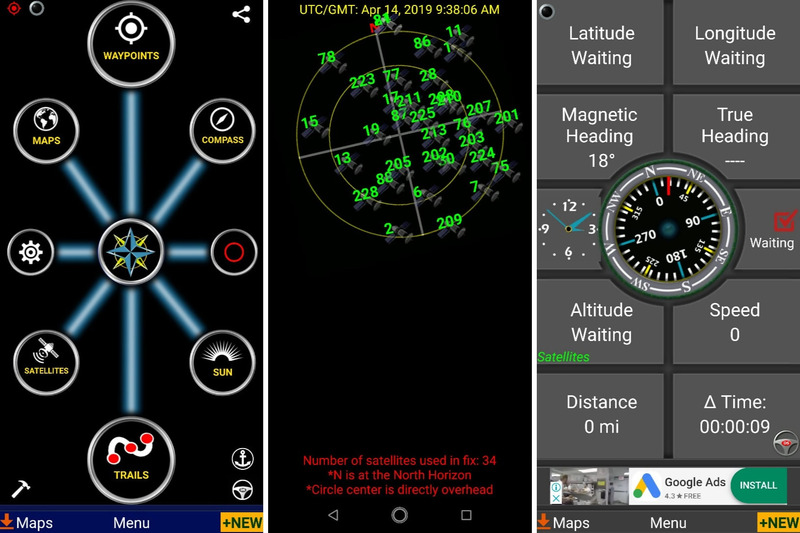 The app has some great features like magnitude heading, altitude, speedometer, odometer, drift alert, location sharing with maps, GPS compass, time of sunset, waypoint photography, and more. You can also mark your own path on the map. However, it is currently available for Android users only. Navmii was initially launched as Navfree, a free navigation app for iOS users. However, its huge success led to the development of Navmii, which is now used by many Android and iOS users. Navmii uses data from OpenStreetMap and offers its users community-based navigation and fast traffic information from 85 countries around the world. Among the many cool features of the app, the most useful ones are local search, voice-guided navigation, live traffic details, HD maps, ETA indicator, driver scoring, nearby points of interest, and customized searches. The app also provides automatic real-time rerouting. While the app is free of cost, it does have in-app purchases that range from $3 to $43. After being launched in 2012, post its split from Google, Apple Maps had a hard time fixing its glitches and errors. But it finally came back to life after Apple made some serious improvements in the app. The Apple Maps today have a clear navigation screen and a pleasing look too. 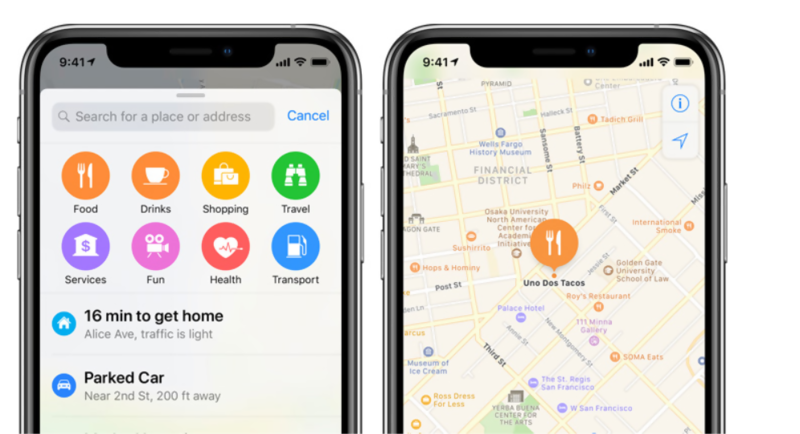 Preloaded on all Apple devices, the app has some great features like turn-by-turn navigation, details of local businesses, streets and buildings, and an automatic night mode that adjusts the screen to be easier on the eyes in the dark and low light. The iOS 10 and 11 updates also saw features like travel notification for events so that you can leave on time to reach there. It also has the lane guidance feature to save you from getting lost, indoor maps of certain places, and speed limits (only for the US and UK). The augmented reality flyover allows the user to explore places by tilting and moving the device too. You can also check out directions, photos, Wikipedia links, Yelp reviews, and more by just clicking on a landmark. 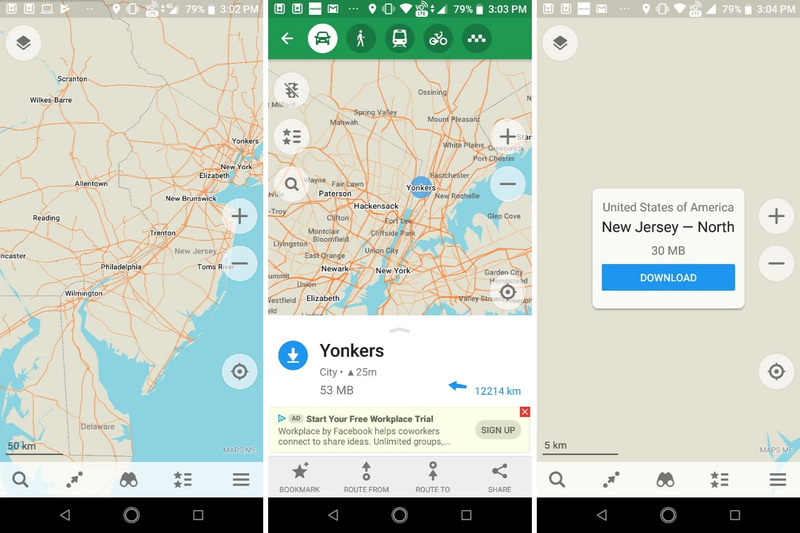 While Google Maps still remain a favorite of most users due to its accurate data, robust features, and all the help it provides to its users, the above-mentioned apps also do their job well. Most of the alternatives to Google Maps that we mentioned provide accurate data and up-to-date information about local areas. Some of the apps like BackCountry Navigator and Polaris are great apps for navigation when you are out in the wild and do a better job than Google Maps because they provide detailed topography data. There are other map apps in the list that are a complete package and have all that you seek for in a map app. So, if you wish to try something different than Google Maps, you now know that you have plenty of options!